The former capital of the region in the Savoy era, Moudon has some of the best preserved mediaeval heritage sites in Switzerland. Of Celtic origin, a Roman vicus, the capital of the Lake Geneva Region in the Savoy era, then a Bernese bailiwick, Moudon has a long history which is told through a marked historical trail. Dedicated to Saint-Étienne, the region’s biggest parish church is a fine example of Rayonnant Gothic architecture, featuring exceptional painted decorations and furniture including choir stalls dating from 1501-1502 and an organ dating from 1764, the oldest in the region. The Vieux-Moudon museum is essentially dedicated to everyday life in times past and the Eugène Burnand museum (1850-1921) shows the work of this internationally renowned naturalist painter, a native of Moudon. The two main events in the life of this city are Les Brandons, a traditional carnival listed as an event of intangible cultural heritage, and the Popular Music Festival staging nearly 100 concerts over a weekend. 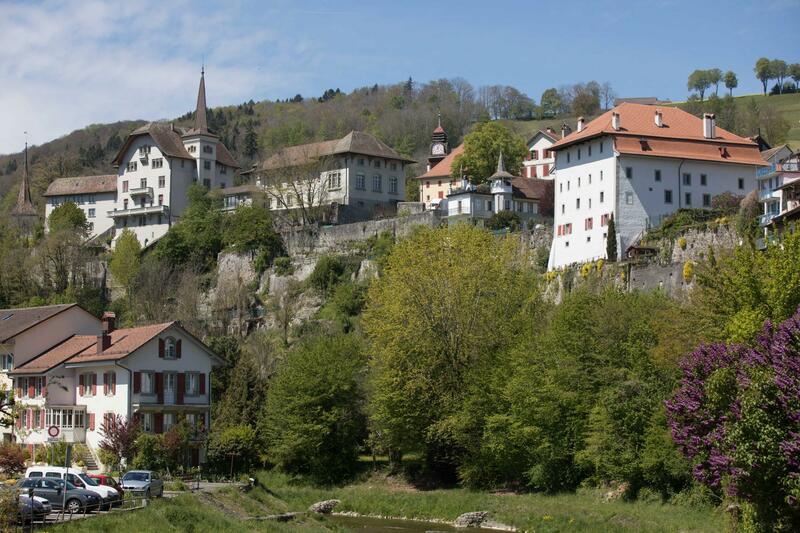 Finally, in the heart of the Vaudois countryside, the town is the starting point for many walking trails.